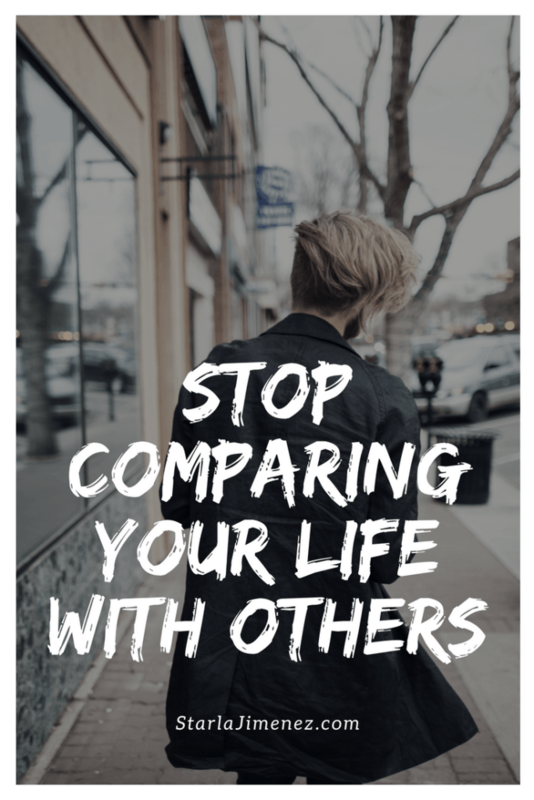 How to stop comparing yourself with others. Why is it easy to get caught up in comparing our life, marriage, kids, home, car, finances and just about everything to others? I would like to think that this isn’t a stumbling block for me but every once in a while comparison will show it’s ugly head and whisper destructive thoughts like you’re not good enough, look at her, they have their life together, they do a better job, look what her husband does for her, her kids are smarter, their house, car, etc is better…..and so on. As soon as these negative comparison thoughts start creeping in what should be done? STOP THEM!! Stop those destructive thoughts. Submit those thoughts to God. Every moment of everyday, if need be. Start truth journaling. Write out the comparison, hurt, or whatever the negative is you are trying to overcome. Then search God’s Word for the Lord’s truth over the situation. For example, a negative comparison might be that you are not content with your car and feel jealous that your friend has a much better car. Because her car is better, in your opinion, you feel less than your friend. You write out your thoughts in your truth journal. Then write God’s truth over your thoughts and situation. For the example above you might search for and write out bible verses on being content with what you have and where you are at in life. Then I’d suggest prayer. Pray for God to give you an understanding of how much He loves you and to fill you with His wisdom and knowledge. Keeping a humble heart as you pray is important too. Don’t allow the enemy to set one foot in your thought closet. If you allow those thoughts in, we allow the enemy to feed us lies and those lies feed pain, fear and ungratefulness into our lives. Those thoughts also tell us we do not fully trust God. When we get into the comparison mode we are saying we do not trust that God knows what He is doing in our lives. We must submit those destructive thoughts to God and refocus on our blessings. Instead of listening to the dreaded comparison whisperer, start speaking out the good about your life. I am blessed with means of transportation, a roof over my head, food on my table, clothes for my family to wear. God is taking care of us. In your marriage, speak out the good things your husband does for you instead of focusing of what he doesn’t do. Is a hard worker and good provider. We are all a work in progress. We are all on different paths with different circumstances. Lets not compare our first chapter to someones 20th chapter. Find the good in each day. Cover your day and thought life with Bible Verses. Ask God, daily, for what He wants you to learn. Be content with where God has you but eager to move forward to be better. To be the woman, wife and mother that God wants us to be. To be the person God wants us to be. God is enough. Trust Him. Lean on Him. Walk with Him. God should be your joy. Let’s not let our fears, emotions and destructive thoughts rule our lives. Let’s counsel our hearts with the word of God. Let’s not take scripture for granted. Claim the strength in it. Draw near to God. Read Isaiah 43. God has called us by name. He created us. He has been thinking and loving us all this time. He knows what is best for us. God says when we pass through the waters and fires that He’ll be with us. He doesn’t say we will have it easy but He says He will be with us and He will not let those trials consume us. He calls us precious and tells us he loves us. Read the chapter but pray first that God will open your eyes and heart to take in what He wants you to understand. Let’s stand on the strength and power of the word of God. Let’s get excited about what God is doing in our lives!! No comparison allowed. No destructive thoughts allowed. Let’s pray this verse over ourselves everyday. Very inspiring. I was actually just thinking about how better it would be if we had more money, if I had a better job, if we had a car….etc. when I should be thanking the Lord for the good things in our life. Thank you for the reminder. When we compare, we stop ministering to our side of the fence. =) I'm also a military wife. My husband will be deployed to Korea next year. Im also speaking to myself. So true. The enemy would love for us to let bitterness set in. Keep fighting the good fight. As we walk this military life, lets lay it all at Gods feet. I agree with you Rachael. Thank you for stopping by! Great verses that you selected. Thank you. May your kindness continue to ripple. So true! I have been thinking about this a lot…about how destructive comparisons are and how much it affects what I do and how I do it! Nice to find your blog! Great post. It's so important to focus on the positive things about ourselves. So many of us tear ourselves down. hey! great post! you should think about joining in on the revolution that Shauna and I (from Newbie Bloggers on FB) #ed as #itsarevolutionbitches. This would be perfect! I totally agree that focusing on are blessings is key and "self talk" to remind ourselves of our blessings works great! I'll check it out. Thank you for stopping by! It sure does! Thank you for stopping by. Amen! No comparisons allowed! We would enjoy our friendships more and have much more peace if we quit comparing ourselves to others. We would also accomplish more and be happier if we focused on glorifying God with the purpose He gives to each of us. Thanks for a great word of encouragement. Beautiful post! I can only imagine how amazing you are at your job! Thank you for the inspiration today. Happy Sunday! This is fantastic and so true! Comparison is the destruction of our self esteem! Amen. Our identity should be in Christ, not wrapped up in the things of the world. You are so welcome! Thank you for stopping by and commenting. True! Thank you for stopping by! So true! Thank you for stopping by! This is such a great post. I hate to admit that I do this, yes I am trying to stop slowly but surely. We all are working on things…baby steps! 🙂 Thank you for stopping by and commenting. Have a great day! Thank you for this encouraging reminder, Starla, that we do have choice regarding the thoughts we allow ourselves to think. I love the truth that we can choose to discard the negative and replace it with the positive.